In the last days of 2016, the Swiss parliament adopted a compromise immigration law. As a result, the move consolidates various agreements of Switzerland with the European Union (EU). The law guarantees access to the European single market, on which Swiss industry and businesses heavily depend on. As a key consequence, Switzerland is now also reinstated as one of sixteen so-called ‘associated countries‘ of the EU. This means that Swiss research institutions will be eligible again to apply for funding under the current EU Framework Programme. The Swiss law was adopted in response to the demands of a plebiscite directed “against mass immigration” in early 2014. That vote has shocked Swiss academia in a similar way that the Brexit vote to leave the EU has shaken scientists’ community in Britain. Paul Nurse, 2001 Physiology and Medicine Nobel laureate, currently director of the London, UK-based Francis Crick Institute, has been quick to call it “a poor outcome for British science”. Most of his peers seem to share his opinion. The Swiss and the British referenda unveiled a more general concern in the science community. Namely, how to resolve the obvious gap between a growing nationalistic–and isolationist–mood among a growing number of citizens and the thriving appetite for the inherently international activities of academics. Swiss and British academia share a couple of similarities. They are both doing extremely well in terms of research output. And their best research institutions are regularly found at the top of international rankings . Swiss and British academia have, by and large, also benefited from EU research funding more than most other participating countries. Their academic markets appear to be more attractive than others in Europe. No better proof than the distribution of highly esteemed grants from the European Research Council (ERC). UK institutions have been very successful in attracting ERC funding. Over 300 projects are located at Swiss institutions. By comparison, more than 1,400 ERC grants–out of approximately 6,600 funded by the ERC up until today–have been assigned to British universities and research institutes. In other words, researchers at British institutes have brought home more than 20% of all ERC grants, while Swiss universities have raked in almost 5%; those are impressive numbers given the relative size of these countries in Europe. If one were to correlate the ERC statistics with the overall number of researchers, the difference would be more than 5% points in the case of Britain, as only 16% of all researchers in the European Union are based in UK, and 3% points in the case of Switzerland, where only 2% of all researchers based in the EU and Switzerland are working according to Eurostat. Its allocation of funding is based on a sophisticated decision-making process solely focused on scientific qualities. This alone, however, would not be a major difference to many national pendants. What contrasts an ERC grant from national funding opportunities for ambitious researchers is that it is instantly recognisable by academics across Europe; and, actually, across the globe. 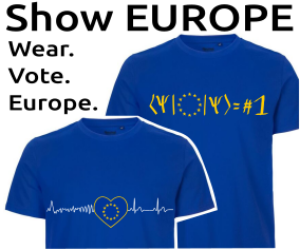 This supranational, European value is unique. A recent statistic shows that almost half of all ERC grantees at British universities are not British nationals. This is the highest share, with the exception of two smaller European countries–besides Austria, where the share of non-nationals is about two in three, in Switzerland, the proportion in near to three in four. British and Swiss academia has obviously benefited more from the existence of highly permissive labour markets than other countries. And this may be one reason for the anti-immigration backlash that these countries have lately experienced. But the numbers also indicate that British and Swiss universities have also made good use of ERC funding to attract talented researchers from abroad. ERC grants are typically worth between 1 and 2.5 million euros. In addition to funding for the Principal Investigator (PI), they also cater for their team of PhDs and postdocs, often recruited from across the world to the PI’s university. Losing access to this highly attractive European funding would prove to be detrimental, even if the British government were out to compensate its academic institutions, as the recent increase of its investment in science and innovation by a considerable margin may indicate. Until now, top talent has often moved to British–and Swiss–universities because they were frustrated with their universities at home. There, it would be more difficult to establish an academic career, often subjected to environments that don’t tally well with the pursuit of science. Now, academic leaders remain concerned about the risk of witnessing a brain drain, as a result of Brexit. Alice Gast, president of Imperial College, London, UK, recently called the continuing uncertainty about visa laws “really dangerous for science”. The departure of a country, as highly active in research as the UK, is a danger for the European integration project, too. By losing one of its research powerhouse, Europe could witness a decrease of its overall productivity of scientific knowledge production. For now, many issues remain unclear. And the Swiss example may show that a national Parliament may take a more modest that what a plebiscite prescribes. But one thing is sure: the UK’s influence in policy-making related to research will decrease. Regardless of whether the British government seeks to retain access to the single market–in whatever form–and whether British universities continue to benefit from EU funding and contribute to European research integration, the UK influence will no longer be the same despite what Theresa May recently said. This, in itself, is bad news because it will affect the governance of science in Europe, and the ERC in particular. In the past, support from the elite of British academics in fighting through the ERC was critical. As was their expertise in initially setting up the ERC as a world-class funding agency. Accordingly, Ernst-Ludwig Winnacker, former Secretary General of the ERC, called the Brexit vote “a disaster” not only for Britain, but also for Europe and the ERC. More generally, the next edition of the Framework Programme will soon be discussed among Member States. As an associated country, the UK will no longer be able to offer their prudent–yet bold–guidance of how to shape this policy instrument. Given that this guidance has been so critical in the past, it may soon be dearly missed. Thomas is a Governing Board member of EuroScience and was formerly scientific advisor to the previous ERC president, Helga Nowotny, and is the author of a book on the history of the ERC. Previous PostWebinar: “What can scholars do about the refugee crisis?”Next PostPolish Women Scientists Network. Who we are, what we do? This article, noble no doubt in intent, does not look beyond the singular ERC which is not really a flagship pan European endeavour as it does not engage teams all across Europe and third countries in single objective research, such as the Brain Project or ITER does. It does amplify though the huge success of the UK in terms of pro-rata wins. The author should really look at the other 85% of the H2020 initiative to see where the real loss of influence will be felt, though I appreciate this is difficult for someone so closely associated with one isolated programme (ironically designed after 25 years of shared research to accommodate those who did not want to work in pan european teams and networks but in single institution teams actually). The ERC boasts about the mobility of it funding; allowing teams to skip from one institution to another if circumstances arise. I trust the ERC will advise all UK based ERC grant receivers to up their grant and move to a more welcoming location. The real loss of influence is also not to be measured in money gained or money lost. Were it that easy. The UK is involved in one way or another in more than half of the H2020 networked projects, which have on average well over 5 partners. Under the shared IPR regime, each partner benefits from the work of the other on fair and reasonable terms. By being in a consortium network then each partner gains access to all the research both in terms of steering it and in terms of outcomes; hopefully positive and useful. THAT is where the UK will miss out, the multiplier effect; the spillovers and the networking. And Europe will miss out too; for the UK influence has been hugely positive. A high price to pay for democracy but research like art is a luxury paid for by society at large, and they have bitten back. And if the European Commission, the Council of Ministers, The European Parliament do not think they have a MAJOR perception problem on their hands ALL over Europe, then we can all look forward to very dark days; and maybe not even very many of those. Wake up Brussels. Sell Science for what it is – the source of all progress and wealth creation. Hi Roger, Thanks for your comment. Needless to say, I fully agree with your analysis. Also, I take up your suggestions on H2020 and Regional Funds. The ERC was simply the most convenient way for me to express what you are pointint at, too: that this unfortunate development is at cost of scientific progress in Europe.